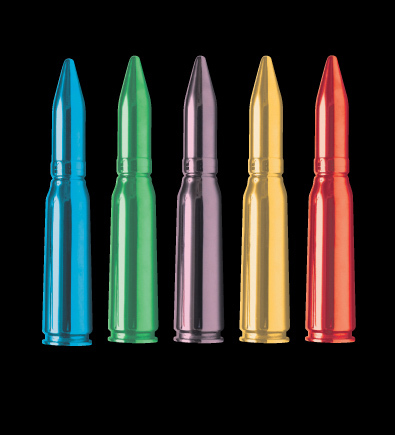 With no blood, bruising, or physical harm, Placebo Bullets have all the effectiveness of normal bullets with none of the fatality. The bullets harmlessly break apart upon impact, releasing nano-compounds modeled on the venom of the bullet ant. As the compounds penetrate the skin and stimulate pain receptors, they trigger a safe but incapacitating pain that’s effective for hours. Placebo bullets are a humane solution for crowd control and catching criminals.